HBO’s hit drama Boardwalk Empire wrapped up its fifth and final season late last year. the series, which starred veteran actor Steve Buscemi, wrapped up after five seasons. The series’ final season. With the series at its end, its final season was released on DVD last month alongside its soundtrack, Boardwalk Empire Volume 3. It is still very early in the year. But it is safe to say at this point that Boardwalk Empire Volume 3 is one of this year’s best new overall albums. The reason that it is deserving of such high honor is the fact that listening to this record is like taking a musical trip back in time. And while that phrase is tossed around sometimes too often by critics (this critic included sometimes), this compilation of songs is one of those rare pieces that truly is wholly deserving of such note. The collection resurrects some of the greatest jazz songs of all time, reaching all the way back to the 1920s ad 30s for its track listing. The catch is that each of the record’s nineteen tracks is recorded by a modern act. Yet none of the songs has been updated. It would have been easy for the acts in question to put their own spin on each song. But they didn’t do that. They recorded the songs exactly as they were recorded so many decades ago. The only thing that the songs on this record is missing is the static of an old vinyl. If that had been there, it would have pushed the record over the top. Even without that static, the songs still comprise a record that any true lover of jazz will appreciate and one that should be on every critic’s list of the year’s best new albums overall come December. That is just part of what makes this record a must hear for any true-blooded lover of jazz. Another reason that audiences will appreciate this collection so much is the fact that while classic jazz songs make up the majority of its body, there is also a light touch of the blues and even some classic Latin-tinged pieces, too. 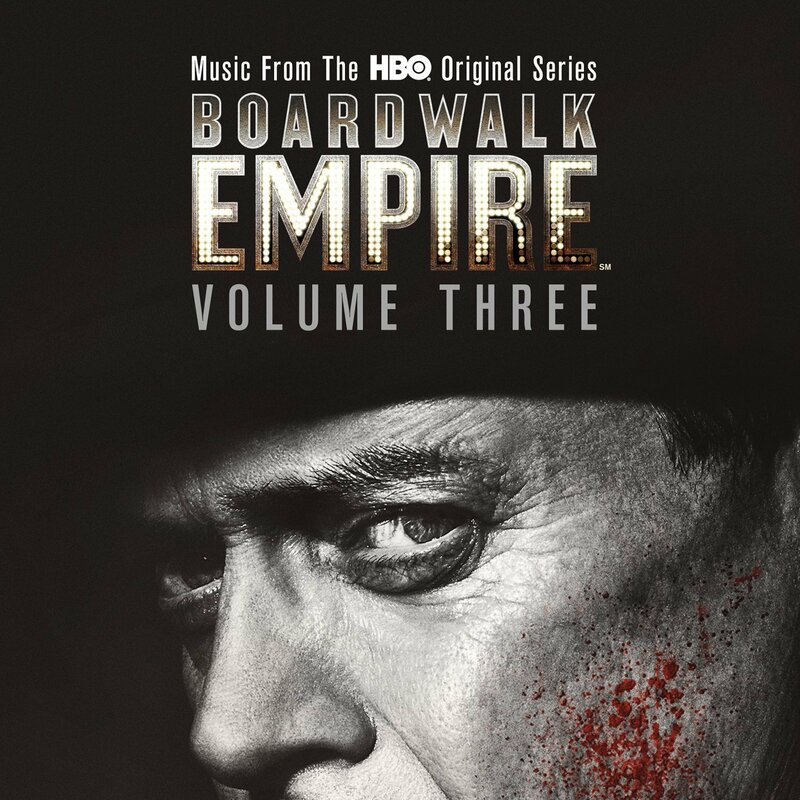 That mix of musical styles coupled with the fact that the songs themselves are true classics makes Boardwalk Empire Volume 3 all the more enjoyable. Last but not least worth noting of this collection is the fact that while it is a soundtrack, the songs that make up the record make it just as solid a stand-alone collection as a companion to the series’ recently released fifth and final season DVD box set. Listeners can enjoy this record without having to have any prior knowledge of Boardwalk Empire’s five-season run on HBO. Rather they can just enjoy it as the collection of classic jazz tunes that it is. It is just as important a factor in the record’s success and enjoyment as the songs themselves and their renditions. All things considered, Boardwalk Empire Volume 3 proves in the end with its full complement of songs to justifiably be considered an early contender for a spot on any critic’s list of the year’s best new albums overall. Soundtracks for movies and television series far too often are little more than a bunch of songs tossed together for the purpose of bringing in extra money for a given movie studio or television company. The mass of soundtracks that meet that mantle is so extensive that it would be impossible to name all of the soundtracks that never should have seen the light of day. For all of the forgettable soundtracks that are churned out each year, there are actually some rare diamonds in the rough among that mass. Boardwalk Empire Volume 3 is one of those rare diamonds. It proves to be one of those rare diamonds first and foremost because of its songs. The songs collected for this latest (and final) volume of songs from HBO’s hit drama is a wonderful arrangement of songs that any true lover of classic jazz will appreciate. The songs that make up Boardwalk Empire Volume 3 reach all the way back to the 1920s and 30s, music’s golden era. From Elvis Costello’s take of Harry Barris and Gordon Clifford’s timeless I Surrender Dear as the record’s opener to Margot Bingham and David Mansfield’s take of Ma Rainey’s blues classic ‘Farewell Daddy Blues’ to Bingham’s cover of the equally timeless Fabian Andre/Wilbur Schwandt/Gus Kahn song ‘Dream A Little Dream of Me,’ to all of the record’s other songs, the record in whole presents itself like a musical trip back in time. That phrase is thrown around sometimes too often by critics. But in the case of this record, it is deservedly used. From start to finish, every one of the songs that makes up the record’s body was recorded in the exact same fashion as in their original recordings. There was no attempt by any of the artists to put their own spin on the songs. This makes the songs feel like they were pulled right from the original masters instead of having been re-recorded by modern artists. The only thing that is lacking in the presentation of the record’s songs is that classic sound of static. Even without that sound though, the quality of the songs is reduced by a factor of zero. That is how incredibly believable these songs are in their presentation and why the songs and their presentation combine to make the most important part of Boardwalk Empire Volume 3’s enjoyment and success. The songs that were chosen for Boardwalk Empire Volume 3 and the uncanny similarity to their original recordings are collectively the most important part of the record’s enjoyment and overall success. For all of its importance, just as important to note of the disc’s success is its overall makeup. Classic jazz songs make up most of the record’s body. But they are not all that audiences get in this collection of songs. As noted perviously, there is a touch of the blues in Margot Bingham and David Mansfield’s cover of Ma Rainey’s ‘Farewell Daddy Blues.’ It is an acoustic performance that must be heard to be fully appreciated. There is also a Latin-tinged piece in ‘Son Que Quita Las Penas,’ which translates roughly to ‘They are that it removes penalties.’ And ‘The Yodeling Chinaman’ offers its own interesting sound that adds even more interesting musical variety to the record. The combination of those varied sounds across the album’s nineteen songs and sixty-two minutes coupled with the incredible presentation of each song makes even more evident why any jazz purist will love this record and why it is one of this year’s best new albums overall. The songs that make up the body of Boardwalk Empire Volume 3 display a wonderful window into the music industry’s past. They take listeners on a musical trip back in time to the business’s golden era more so than any classic collection since. Making this collection of songs even better is the fact that the artists that re-recorded them for the collection didn’t try to make some artsy remake in their own vision. Rather they stayed true to the original rendition of each song. Save for the static in the background, the end result of the recordings is a group of recordings that sounds like it was lifted right from the original masters. Both aspects of Boardwalk Empire Volume 3 are of equal importance to the record’s presentation. As important as each element proves to be to the whole, the fact that audiences don’t have to have any knowledge of Boardwalk Empire’s televised side in order to enjoy these songs. Unlike so many other soundtracks released every year in partner with their movies and television series, this collection of songs wasn’t aligned in time with its show’s episodes. So there’s no need to have any background information on the show in order to enjoy the songs. A basic understanding and appreciation of jazz history is all that audiences need. And even for those lacking even that understanding and appreciation, it makes for just as solid a starting point for anyone wanting to learn about the history of both music and jazz more specifically. It’s yet another way that Boardwalk Empire Volume 3 proves to be one of this year’s best new albums overall. Boardwalk Empire Volume 3 is one of this year’s best new albums overall. Given, it is a soundtrack for all intents and purposes. 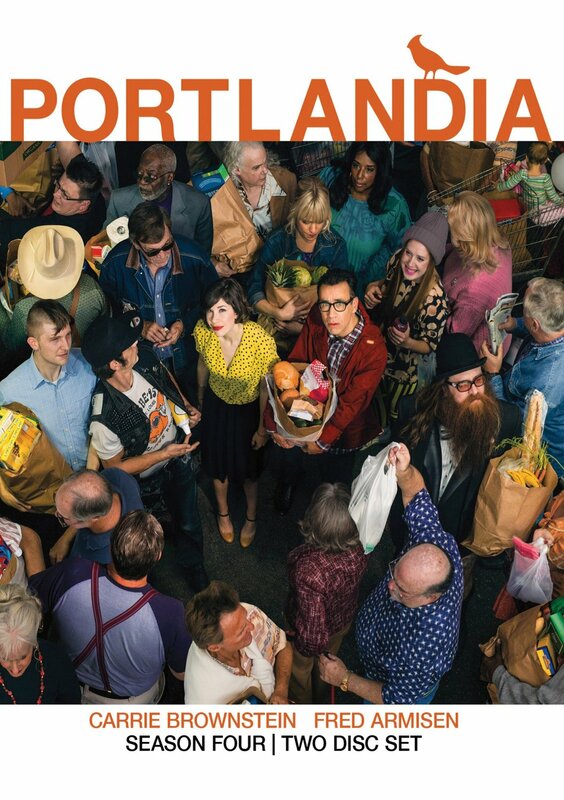 But it is still deserving of a spot on any critic’s list of the year’s best new albums overall. That is because the songs presented on the record make this recording more than any before, a musical trip back in time to a better age. The renditions of the presented songs pay full tribute to the original songs. And audiences don’t even have to have any previous knowledge of the series in which they are utilized. That’s because the songs aren’t used in that same chronological fashion as songs that comprise other soundtracks. They are just great classic jazz tunes. They are a window into a better era of music. Because audiences don’t have to be fans of the series from which they were lifted, and because of the fact that they weren’t altered in their new versions from their original performances, they are made all the more enjoyable. The very fact that they have been resurrected for a whole new generation of music lovers is the ultimate statement of love and respect for their legacy. Whether for one of the aforementioned reasons or all of them, any listener that gives this recently released soundtrack/compilation will agree that it is indeed one of the best new albums of 2015. It is available now in stores and online. Anchor Bay Entertainment announced recently that it will release the first season of its hit AMC series TURN: Washington’s Spies this spring. 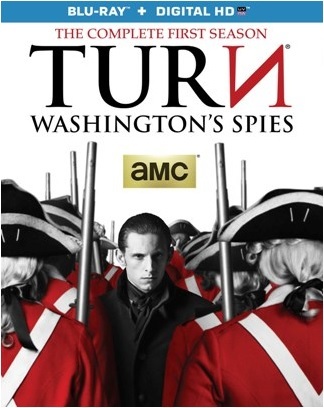 TURN: Washington’s Spies—The Complete First Season will be released Tuesday, March 17th. That is just in time for audiences to catch up with the hit historically-based series before its second season debuts this spring. It will be released both on DVD and Blu-ray + Digital HD combo pack. The ten-episode season will be spread across three discs on both sets. It will also include a handful of extras, which are noted below. Based on author Alexander Rose’s book Washington’s Spies, Turn: Washington’s Spies centers on patriot Abe Woodhull. Woodhull is a farmer living in British-occupied Long Island. He joins with a group of his childhood friends to form what would become known as the Culper Ring in an effort to help then General Washington and his forces defeat the Red Coats in the Revolutionary War. What resulted would go on to be considered the birth of espionage. The series stars Jamie Bell (The Adventures of Tin Tin, Billy Elliot, Flags of Our Fathers), Seth Numrich (Gravity, Private Romeo)m Daniel Henshall (Out of the Blue, These Final Hours, The Babadook), Heather Lind (Boardwalk Empire, Sleepy Hollow, Blue Bloods), Kevin R. McNally (Downton Abbey, Pirates of the Caribbean 1 – 4, Supernatural ), Meegan Warner (Portend, The Veil, A Place To Call Home), Burn Gorman (Torchwood, Pacific Rim, The Dark Knight Rises), Angus McFayden (Californication, Chuck, The Pinkertons), JJ Field (The Musketeers, Captain America: The First Avenger, To The Ends of the Earth), and Samuel Roukin (Harry Potter and the Deathly Hallows: Part I, Bright Star, Happy-Go-Lucky).